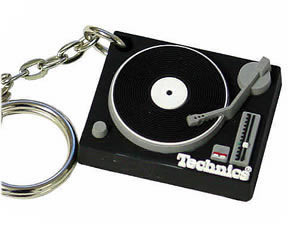 Use as a key-ring and it will also fit in your wallet. 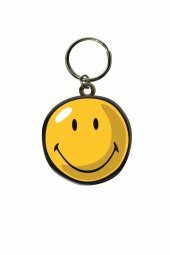 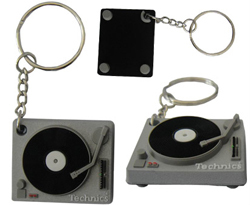 Official Technics 1210 Turntable Keyring Made From Rubber 4 X 3 x 1.25cm ! 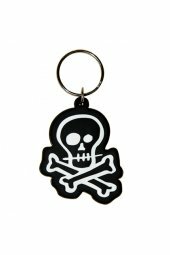 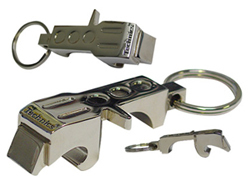 This cool retro style keyring also doubles up as a very handy bottle opener. 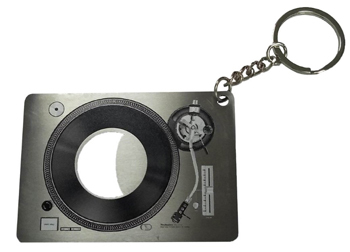 Official DMC Technics DJ Flashlight In Black. 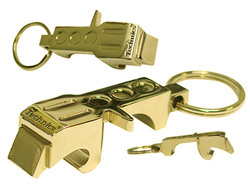 See The Light With DMC!